A selfie taken by Nasa’s Curiosity Mars rover on 15 January at the ‘Rock Hall’ drill site, located on Vera Rubin Ridge. Credit: NASA/JPL-Caltech. Nasa’s Curiosity rover has measured the gravity of Mount Sharp, a Martian mountain that is around 5km-high from the base of the Gale Crater. Mission scientists repurposed the sensors that drive the rover and turned them into gravimeters to measure changes in gravitational pull in order to measure the mountain. The sensors calculated the subtle pull from rock layers on the lower portions of Mount Sharp and found that the density of the rock is much less than expected. Curiosity is also equipped with accelerometers, which can detect the planet’s gravity when the rover is immobilised. 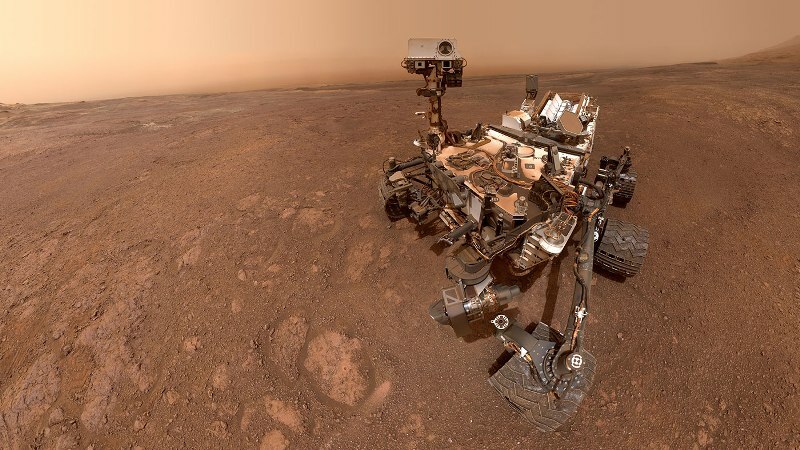 As part of a study about the discovery, lead author and Johns Hopkins University professor Kevin Lewis examined more than 700 measurements from Curiosity’s accelerometers. These were recorded by the rover when it climbed up Mount Sharp between October 2012 and June 2017. The calculations are expected to help scientists who are trying to find answers on how Mount Sharp was formed. Lewis said: “The lower levels of Mount Sharp are surprisingly porous. “We know the bottom layers of the mountain were buried over time. That compacts them, making them denser. Nasa Jet Propulsion Laboratory Curiosity project scientist and study co-author Ashwin Vasavada said: “There are still many questions about how Mount Sharp developed, but this paper adds an important piece to the puzzle.